I studied with Quinn Kearney, Claire Mark, Geri Bleier, and Tom Quinn at yogaview in Chicago for 500 hrs of certification from 2008 through 2011 and apprenticed with Gabriel Halpern at Yoga Circle treating special populations. 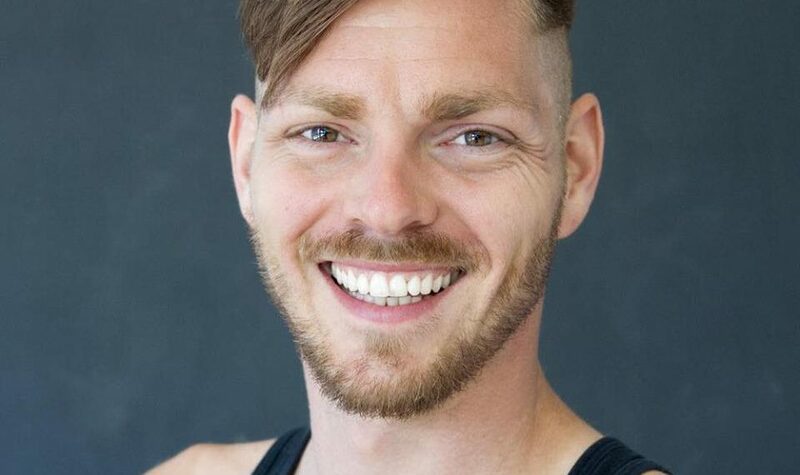 AJ studied with Quinn Kearney, Claire Mark, Geri Bleier and Tom Quinn at yogaview in Chicago for 500 hrs of certification from 2008 through 2011 and Apprenticed with Gabriel Halpern at Yoga Circle treating special populations. In the beginning I would say I was most inspired to practice yoga by the feeling of relief that it gave me as a young adult with severe social anxiety. Later, I was inspired by the wonderment in the uncanny; in everything from astrology to burlesque to slinging pizza there is a distinct likeness. I guess I'm most inspired now by the ways we're drawn together, nostalgia, and poetry - anything perfectly placed. And sparks of divinity and all the things I missed when I wasn't paying attention. In the beginning I would say I was most inspired to practice yoga by the feeling of relief that it gave me as a young adult with severe social anxiety. Later, I was inspired by the wonderment in the uncanny; in everything from astrology to burlesque to slinging pizza there is a distinct likeness. I guess I'm most inspired now by the ways we're drawn together, nostalgia, and poetry - anything perfectly placed. Sparks of divinity and all the things I missed when I wasn't paying attention. I teach because I believe I have a responsibility to return everything to source. As modern (western) yogis we are saturated with branding and neo-spiritual marketing that illicit unrealistic messages about lifestyle and personal potential. Eastern fetishism and cultural appropriation ad infinitum are cunning undercurrents of the modern yoga practice in the United States, and I was blessed to be taught my yoga path from a legion of sources who abhor dogma. I hope their voices come through me with the love, understanding, and acceptance they gave so freely to me as an emerging adult. I teach because I believe I have a responsibility to return everything to source. As modern (western) yogis we are saturated with branding and neo-spiritual marketing that illicit unrealistic messages about lifestyle and personal potential. Eastern fetishism and cultural appropriation ad infinitum are cunning undercurrents of the modern yoga practice in the United States and I was blessed to be taught my yoga path from a legion of sources who abhor dogma. I hope their voices come through me with the love, understanding and acceptance they gave so freely to me as an emerging adult.